Who is an employee and who is a student at the university? 151. How are the network sockets identified? See also: Which VLANs are at the campus BMC-router? See also: What is the name standard for network equipment on BMC. These numbers mean that the socket is located at the B1:216 beam in the B1:2 corridor. 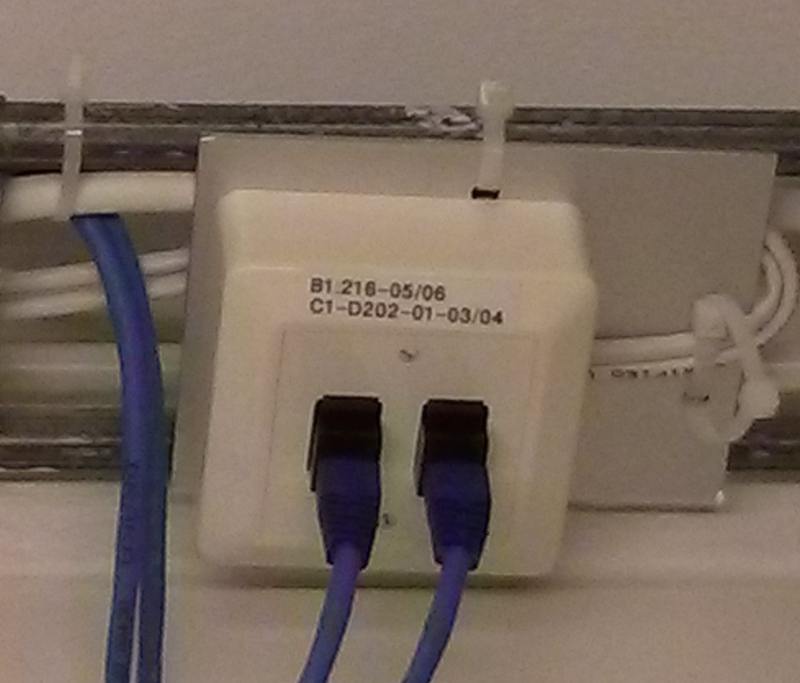 The cross connect cabinet serving this network socket is located in C1:2 and in this case the rack called C1-D202 in the panel number 1 and socket number 3 and 4. Some of the sockets have room numbers instead of beam numbers where the beam numbers are not applicable.